MINNEAPOLIS (April 21, 2017) – The Minnesota chapter of the Public Relations Society of America (Minnesota PRSA) awarded Padilla with six awards at the 39th annual Classics Awards, including Best in Show for its work with Niagara Conservation. The agency’s work with Niagara Conservation – #WhatTheFlush: Disrupting the Water Conservation Conversation – also won in the Integrated Communications Campaign (Products) and Industry Campaign of the Year (Consumer Products) categories. 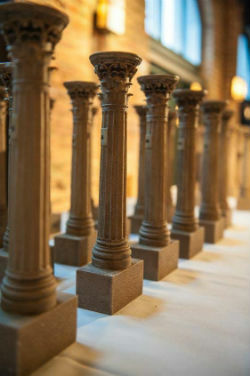 Minnesota PRSA held its 39th annual Classics Awards last night at The Machine Shop in Minneapolis, celebrating cutting-edge creativity and innovative thinking in the public relations industry throughout the past year. Top campaigns featured extraordinary talent and craft by driving engagement among diverse audiences through digital, content marketing, influencer outreach, experiential events and much more. View the news release with the complete list of 2017 Classics winners at MinnesotaPRSA.org.